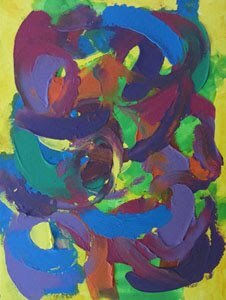 Original abstract paintings for large and small spaces. 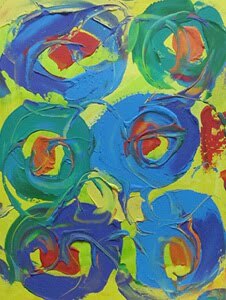 Mad About Abstract has one-of-a kind abstract art for all decorating styles and color schemes. 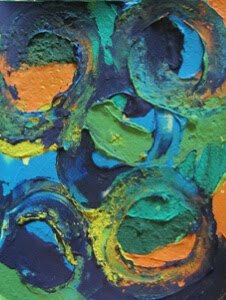 Bold, colorful, textured wall art creates warmth and welcome in your home. 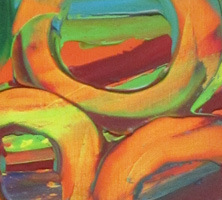 Hanging original abstract art is a creative way to add bold color and fun texture to your workspace. Offices should be inspiring and comfortable. With a colorful modern abstract hanging in your sight line it’s easier to be productive and come up with innovative ideas. After too many hours sitting at your desk do you feel drained as you stare at mind-numbing white walls all day long? Then inspire yourself by creating an area you can work in. Look for abstract wall hangings that will provide a colorful textured focal point then organize and streamline your area. If you’re not getting enough light add a lamp with a full spectrum light bulb. 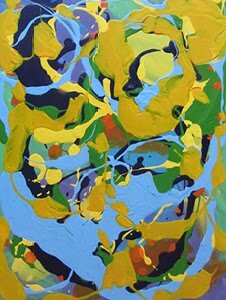 Modern contemporary abstracts are an excellent choice for any office makeover. 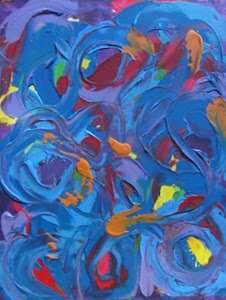 Original abstract paintings set the mood with color, texture and stimulate creativity and forward thinking. 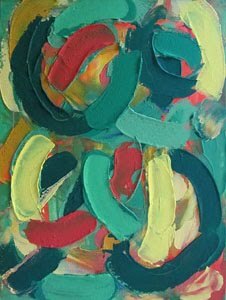 Abstracts stimulating creative thinking, because the subject matter is interpretive, so the mind is actively searches for meaning. That unconscious mindshift will carry over to the work you have at hand. Have you noticed that places with the least amount of art, color and visual interest are offices and hospitals. They are the most removed from nature too. 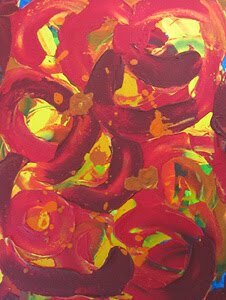 In these places we can feel more tension with the absence of a mood enhancing atmosphere, but this can be changed with thoughtfully chosen decor and colorful original art for the walls. 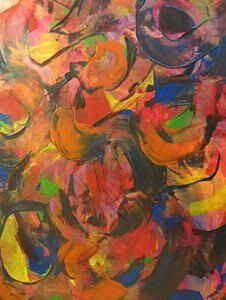 It’s easier to be happy if you hang bold contemporary abstracts that boost your mood, inspire creativity and enhance your performance. 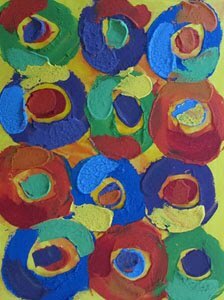 The abstract painting Bubble Bath shown above is a textured acrylic in yellow, orange, red, blue and green. 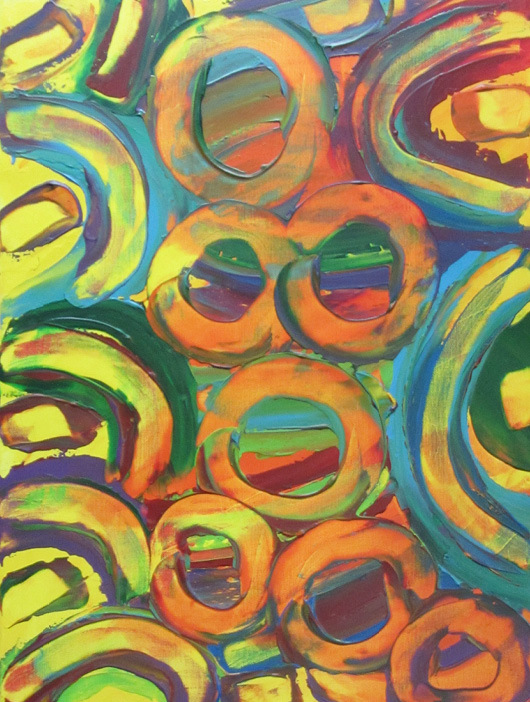 In this modern abstract painting the bathtub is filling with water and the bubbles multiple, reflecting mini images of you as you pour the bubble bath liquid. To have a few minutes to relax feels like heaven. This original wall hanging measures 18" x 24". Walking Arm in Arm Through Falling Leaves, Abstract 18" x 24"
Paradise is a Cool Breeze, Abstract 18" x 24"
Sun, Moon and Stars, Textured Abstract 18" x 24"
Looking Through Stained Glass, Textured Abstract 18" x 24"
Happiness, Textured Abstract 18" x 24"
Fairytale Forest, Textured Abstract 18" x 24"
Fire Dragons, Textured Abstract 18" x 24"
Fire, Bold Textured Abstract 18" x 24"
Love Birds, Textured Abstract 18" x 24"